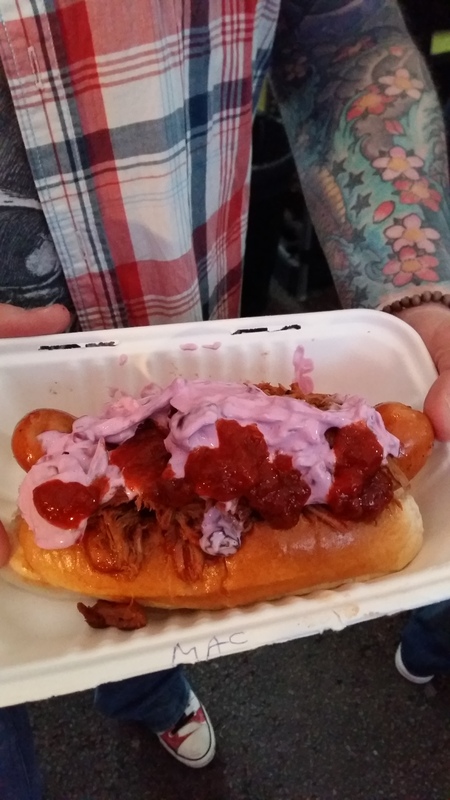 Digbeth Dining Club (DDC) has been running for over 2 years, and continues to go from strength to strength, winning Best Street Food Event awards for two years in a row. It’s a very simple concept – bringing a collection of street food vendors together on a weekly basis to offer good quality, stripped back tasty nosh. And tasty it is! For some reason I’ve only ever been 3 times, which is quite ridiculous considering it’s pretty much on my doorstep, but I intend for that to change this year, for sure. 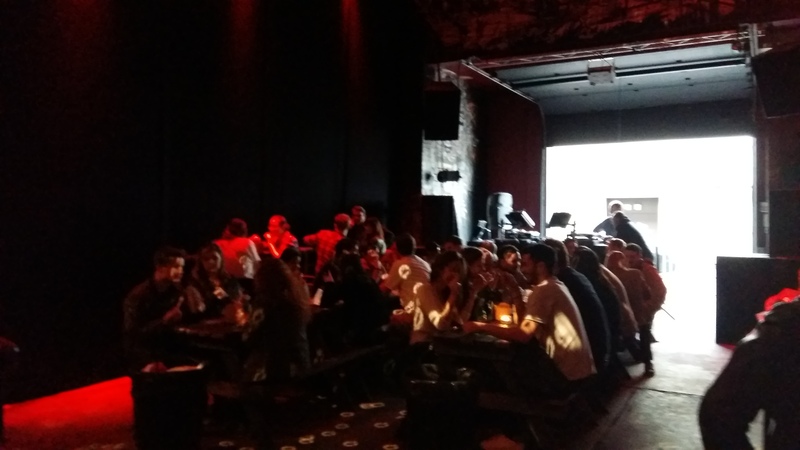 DDC is hosted at Spotlight, a large warehouse space bar with a DJ, comfy sofas and picnic tables inside. 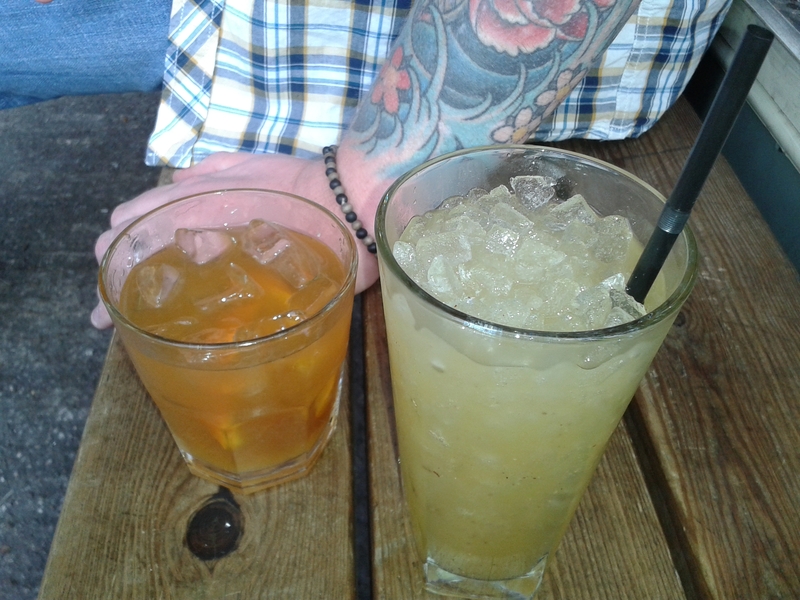 Drinks are reasonably priced and the bar was both well stocked and well staffed. I have to be honest that last night’s vendors didn’t really ding my dong compared to some of the other regulars, but it was my last night of “holiday” as I start my new job next week, and some friends were planning to be there, so I thought I’d make the best of it. How wrong I was to be reticent. The food was fabulous. 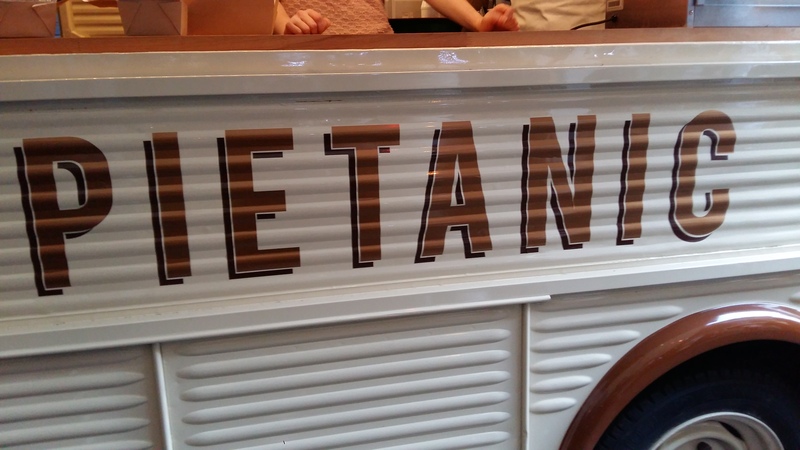 The Pietanic van is a retro cream and brown affair with their name painted across the side. They’re fully self sufficient and serve via a hatch in the side of the van. I went for Chicken and Chorizo, which was served hot from a foil container that resembled a deep pudding pot more than a shallow pie. 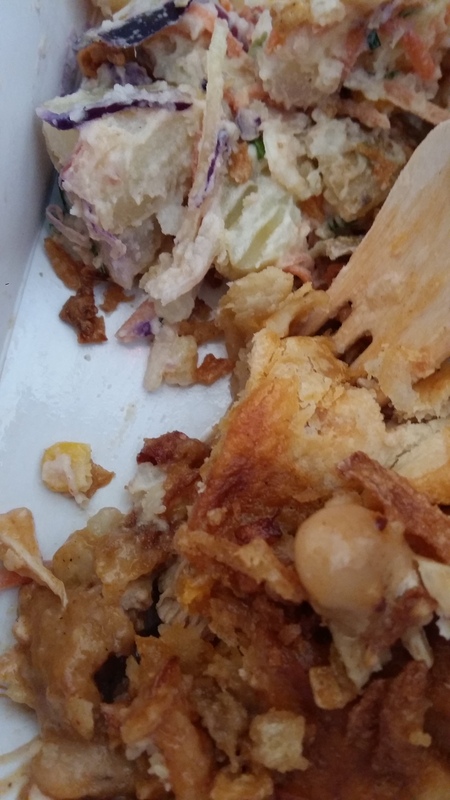 There was a choice of either mash and gravy – an obvious pie accompaniment – or potato salad. 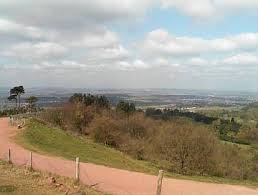 With the weather doing a great summer impression I went for the latter, and what a choice it was. Skin on crushed potatoes, fresh and flavoursome. 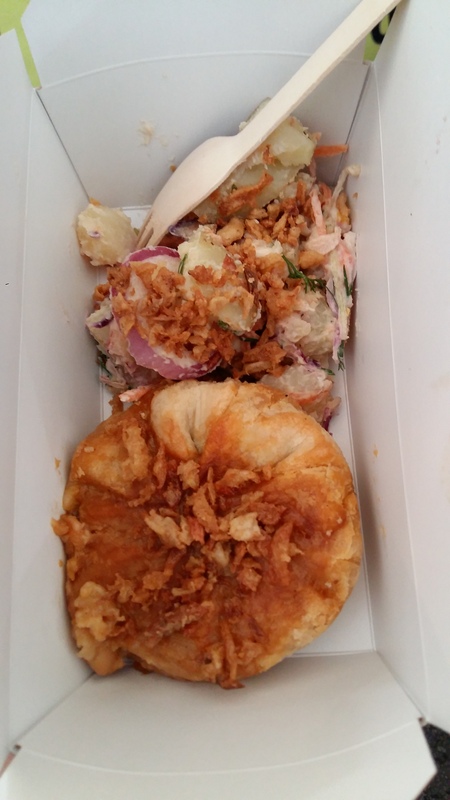 The whole lot was sprinkled with crispy fried onions. 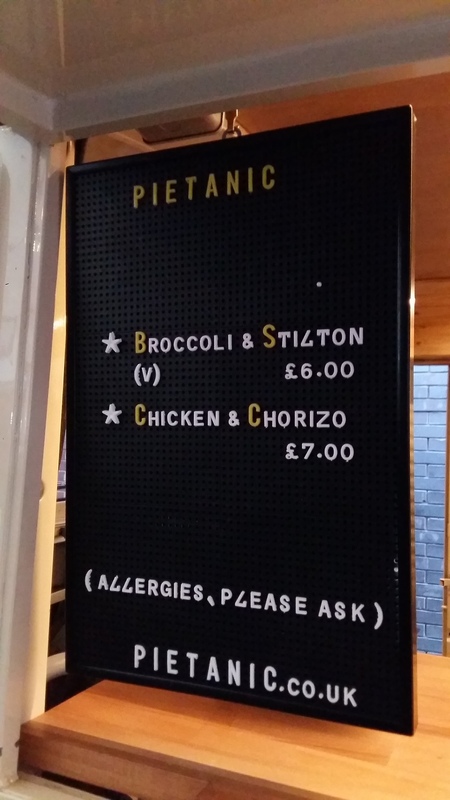 The star of the show, as you’d expect, was the pie. Just delicious. Pies can sometimes be too much pastry and not enough filling, but this was the perfect combination. The outer was less of a crust and more of a soft doughy protective case around it’s precious contents of tender chicken, meaty chorizo and sweet spicy tomato sauce. My husband may or may not* have had a second one to take home with him at the end of the night. 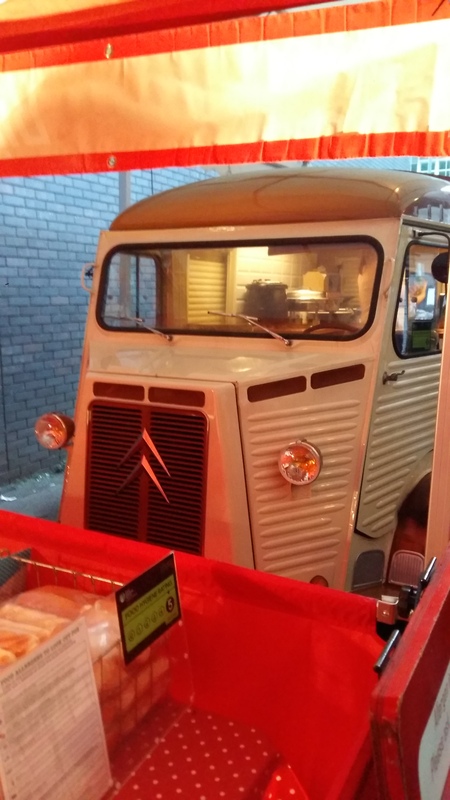 The beauty of street food events is eating more than one cuisine. Second choice for the night was Big Daddies Diner. Specialising in hotdogs, they had a choice of around 8 different types – from a basic dog right up to fully loaded varieties. I’m not a huge hot dog fan, but the beauties I was seeing people holding meant there’s no way I couldn’t try one for myself. 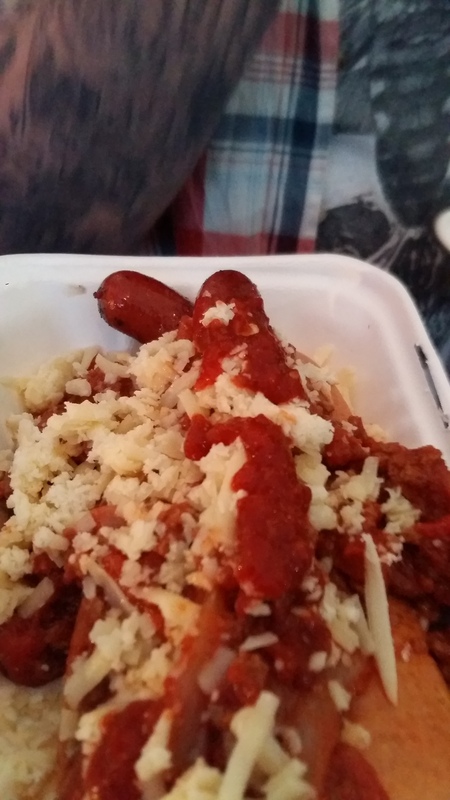 I went for the Edna – 2 dogs in a soft bun, loaded with chilli and cheese. Yum. 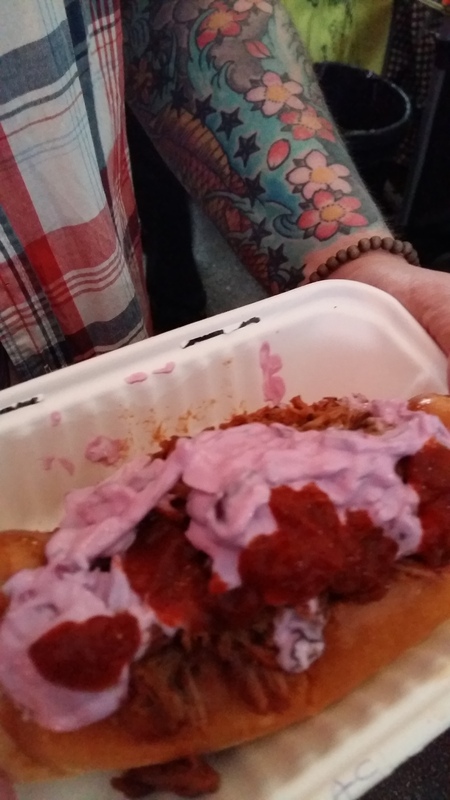 Husband chose a Turbo Pete – topped with pulled pork and red slaw. His opinion was also yum. Big Daddies Diner uses a combination of pork and beef dogs that are cooked right in front of your eyes. They’re thick, succulent and juicy. I was definitely converted. The chilli and cheese on mine were perfect bed fellows, although it did necessitate eating with a fork due to the sheer size! 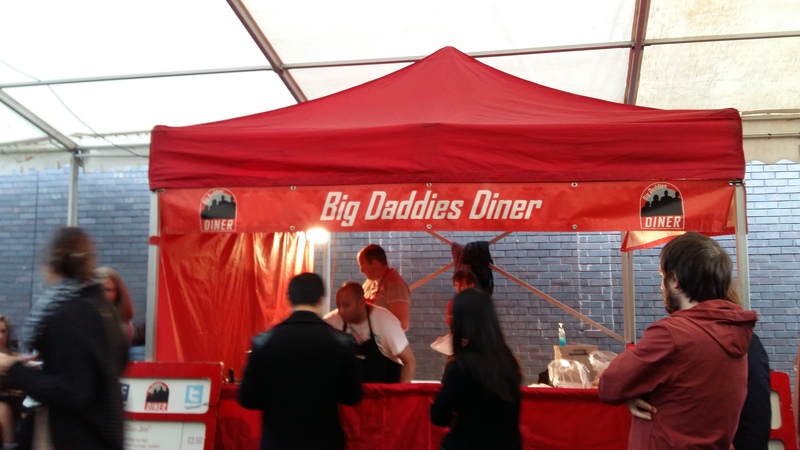 Big Daddies Diner was definitely the most popular vendor of the night, with queues of up to 30 people at a time running back across the car park. Was it justified? Hell yeah! Its testament to the popularity of all the vendors that all of them were displaying sold out signs across at least one of their dishes by the time we left at 9.30. 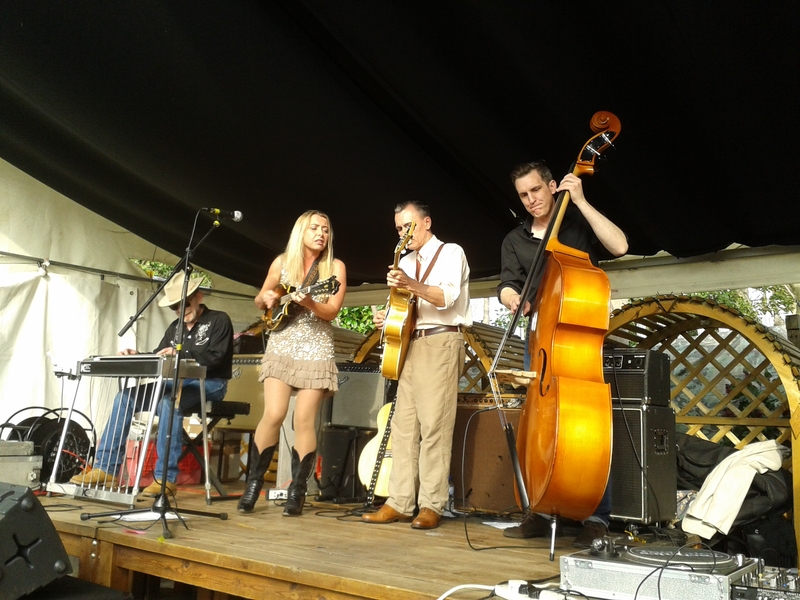 DDC is open every Friday night from 5.30pm, as well as the last Saturday of every month. 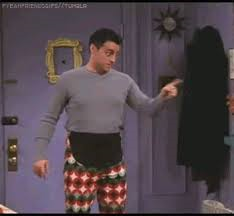 The key is to get there early and wear your Joey Thanksgiving pants! 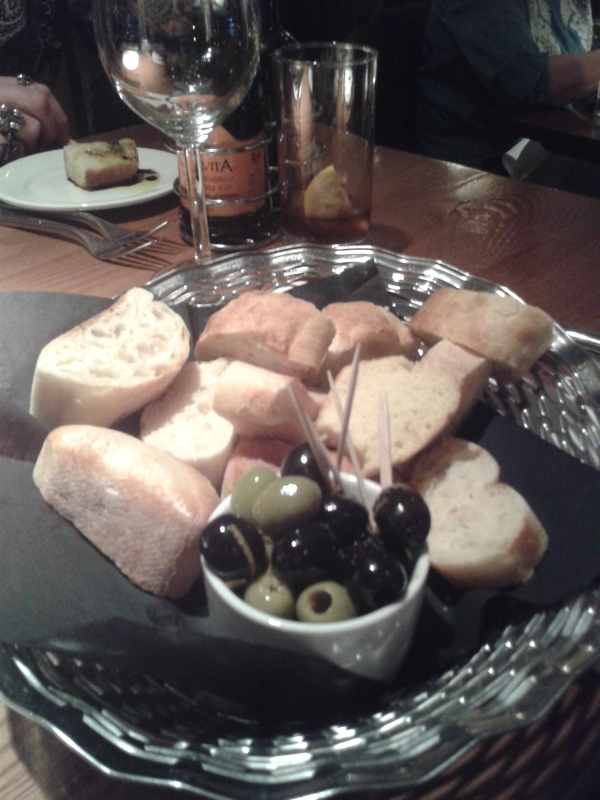 I’m eating out again tonight – I fear for my waistline! I enjoy cooking (mainly because it means I get to eat!) but I only ever cook low fat healthy foods. I would feel too guilty eating something that I had seen myself put heaps of sugar or butter into, so I save my indulgences for eating out or takeaway food. It also means that I can offset the piggyness of my dining experiences so that hopefully I don’t gain 5 stone and none of my clothes fit. One of my favourite side dishes when cooking at home is stuffed peppers. They’re quick and easy, healthy, and you can change the filling to suit yourself, or to use up whatever is in the fridge and freezer. Sprayed with one cal spray oil and cooked for around 10 minutes until softened. 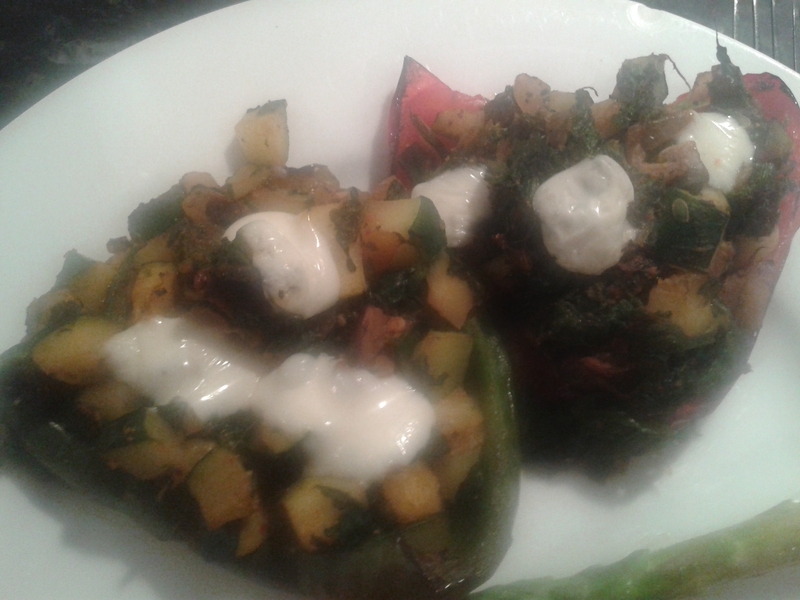 For the filling I used white onion, mushrooms, courgettes and spinach. 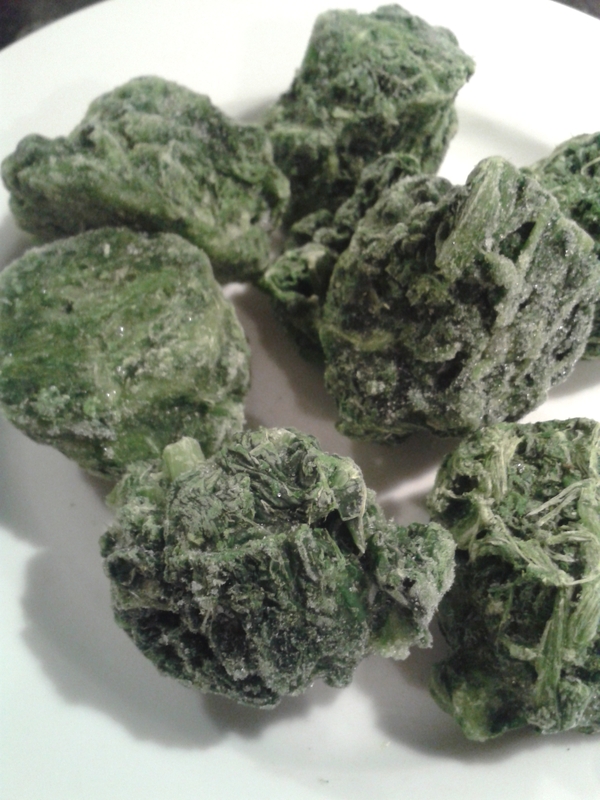 Frozen spinach is really useful to have to hand for dishes like this, I defrosted it in the microwave for time’s sake. Again used a little spray oil to fry the onions. 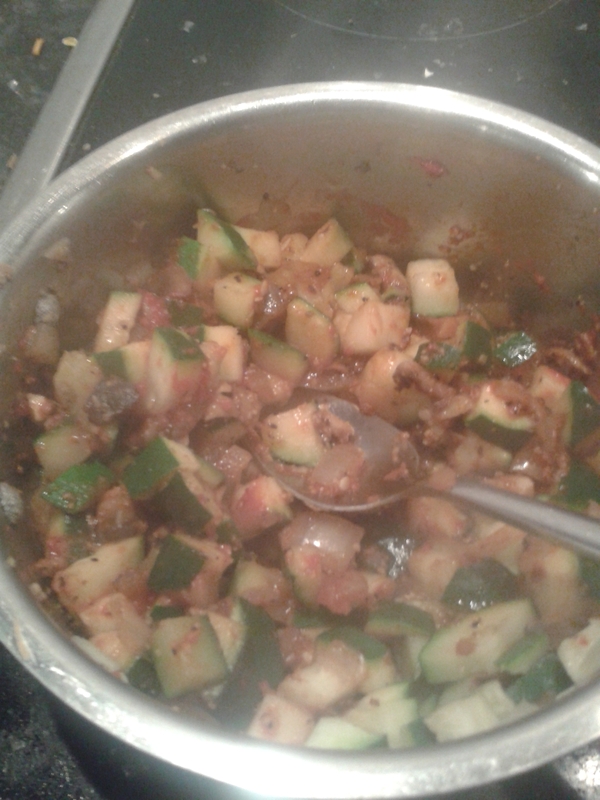 Added the mushrooms and courgettes and covered. Then added garlic and crushed chillies (from a jar – convenience is key for mid week meals), spinach and tomato puree for flavour and to bind it all together. 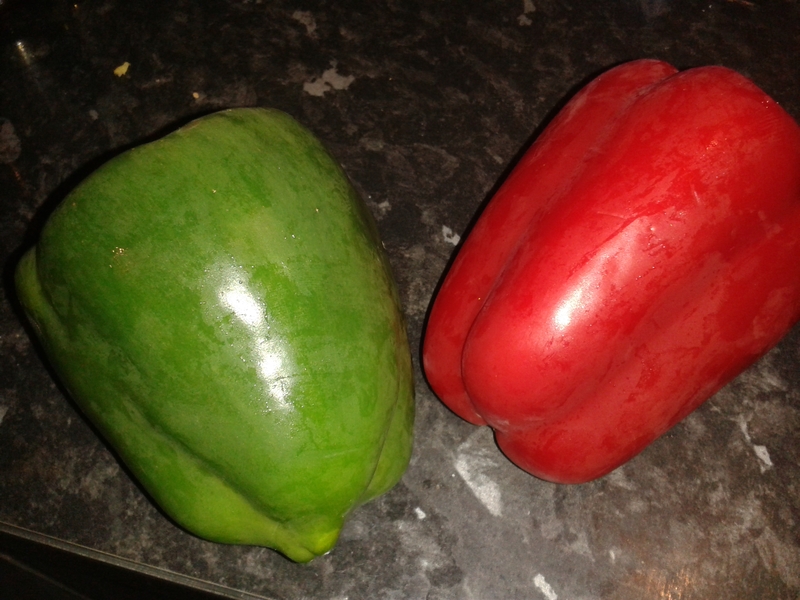 Filled the peppers and popped into the oven for around 5 minutes. I also added some dots of low fat cheese (one mini Babybel across all 4 pepper halves) for a bit of extra yummy gooeyness. Excuse my terrible photography – it’s blurred by the steam as these were straight from the oven! Other good fillings are sweetcorn, peas, chopped or cherry tomatoes. You cold make them more substantial by using mince meat or Quorn with herbs and spices. Mixing your ingredients into a thick cheese sauce is absolutely lovely, but that’s where the calories start to mount. I served these stuffed peppers with chicken and asparagus. Yum. It’s rare that I eat at chain restaurants. Not because of a sense of snobbery, just because there’s so much choice out there, and so much good cuisine, that it seems somewhat unimaginative. Of course there are times when it makes good sense to use my Tesco points combined with their clubcard boost offer to eat out for “free” because sometimes you still want that dining out experience, even when there’s too much month at the end of the money. Last Tuesday was my Mom’s birthday. We had tickets for a 7.30 theatre performance so I suggested pre-show drinks and dinner. Now, my Mom isn’t a fussy eater as such, but she knows what she likes. Doesn’t eat Italian food (doesn’t like pasta – I mean, HOW??? ), doesn’t eat peppers or seafood and I was struggling to think of a place to go where we could park, drink and find a menu that would suit her tastes. Going down the steak train of thought (who doesn’t like a good steak) I settled on Café Rouge, so we could have drinks at the Marco Pierre White Bar at the top of the Cube and dinner overlooking the waterways (Mom isn’t familiar with that part of the City so it was something a bit different) before heading over the road to the theatre. What can I say. Both the food and dining experience exceeded my expectations and then some. We got to the restaurant at around 5.30 and there were only a handful of other diners so we had our pick of seating. 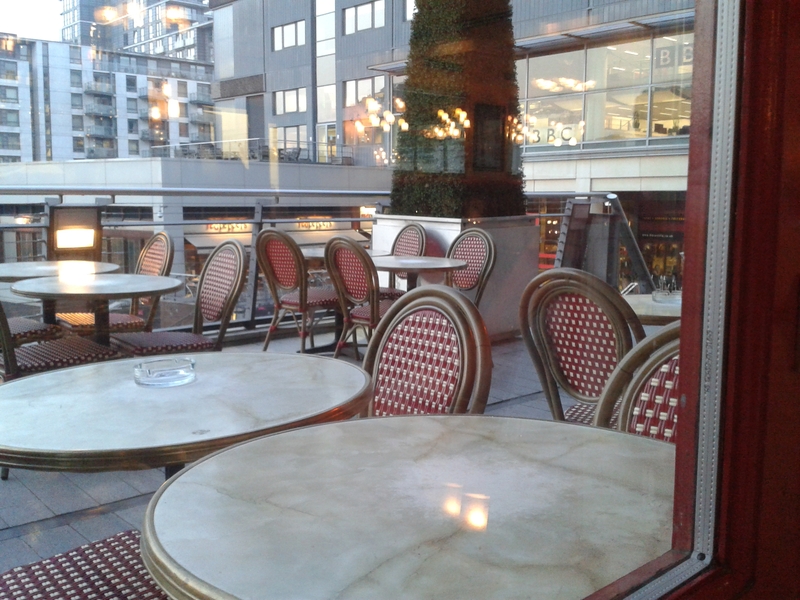 We sat near the window for a canalside view and, as the restaurant is on the third floor, we could see all around across to Brindley Place, Gas Street Basin and all of the city living apartments in the vicinity. 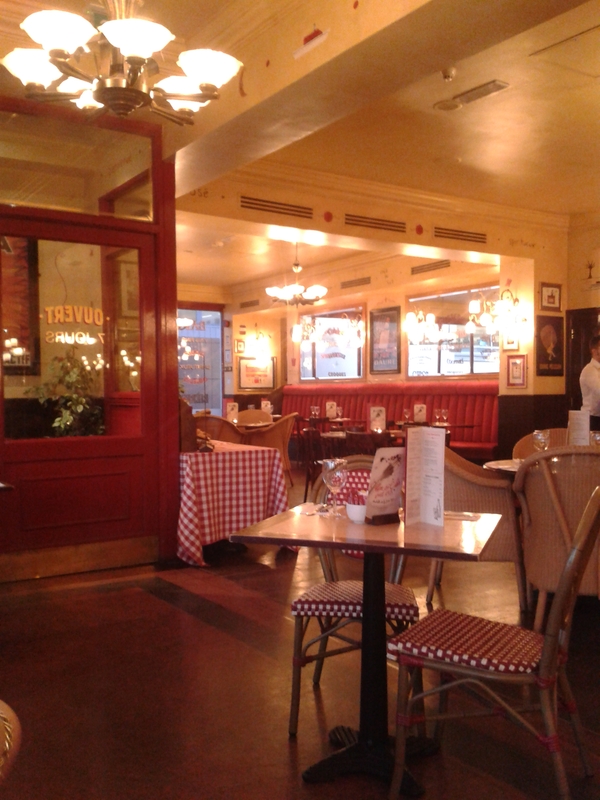 The interior of the restaurant is decorated in a French bistro style, similarly to others in the chain (I’ve only eaten at a Café Rouge once before, in Nottingham many years ago). Red and cream colour palette, rattan chairs, checked table cloths, wooden floors and soft lighting with a large bar and big airy windows. 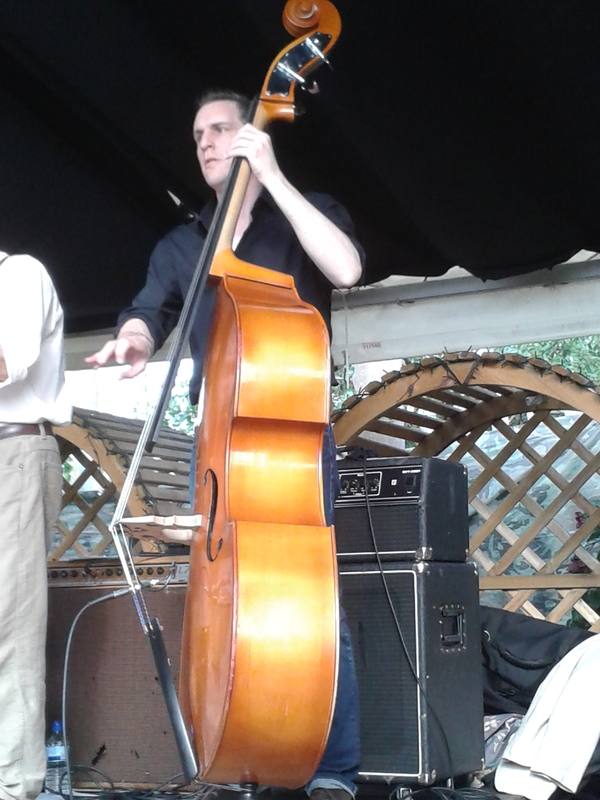 Background music was perfect – loud enough to hear without being overpowering and a nice mix of mood lifting jazzy numbers. The menu is full of rustic and “cosy” food – meats, breads and cheeses with sauces and chutneys. We chose starters of “Champignons à l’ail” (mushrooms in a cèpe & garlic cream sauce on grilled rye & caraway bread) and “Pàté” (chicken liver, grilled rye & caraway bread and chutney). 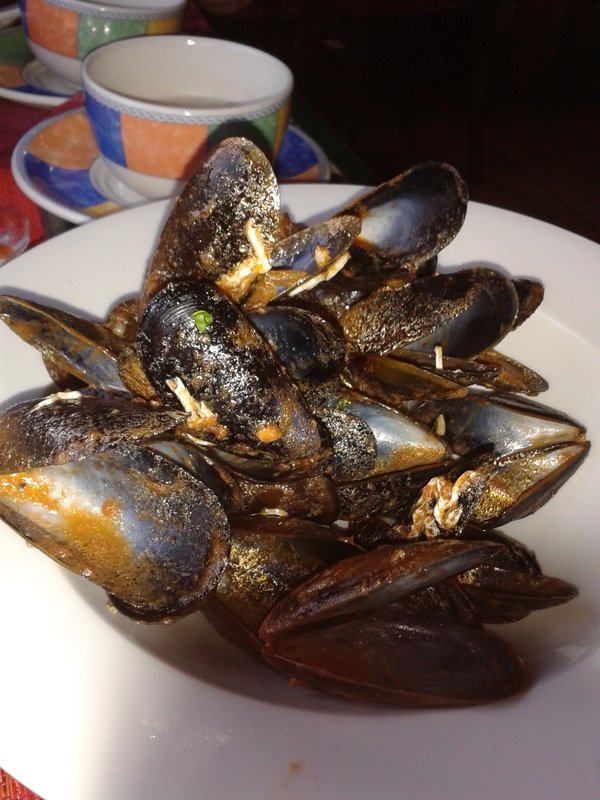 Both were delicious – really good size portions, fresh and tasty . The pate was served on a wooden board with plenty of bread and chutney (I hate it when a restaurant is stingy with accompaniments and you run out before the end of your meal – not the case here) and the mushrooms were plentiful in a rich and creamy sauce. For main course we both ordered “Steak Frites” choosing the 7oz fillet and peppercorn sauce, with a greedy double carb side order of dauphinoise potatoes. 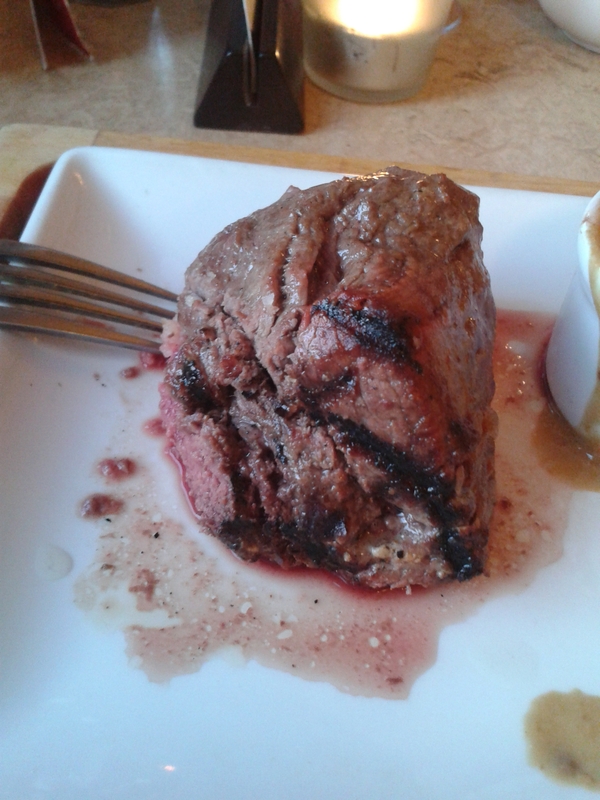 The steak was as good as any I’ve ever eaten – even at 3 times the price – cooked exactly to our liking, juicy, and so so tender. I wouldn’t usually order steak in a pub or chain restaurant having been disappointed so many times before, but this was outstanding. I’m so glad I had a last minute change of heart – I was all set to go for the beef bourguignon but then got “The Fear” when my Mom ordered and feared I may be missing out if I didn’t order the same as her. 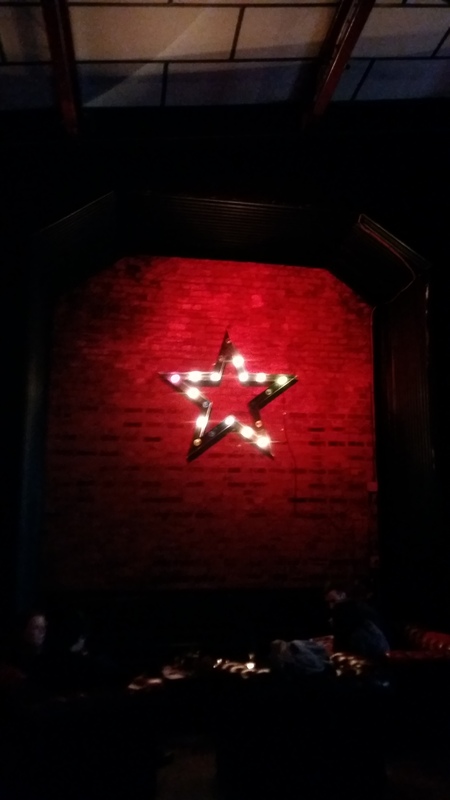 Overall a great experience – the staff were friendly and attentive without being overbearing, and the early dining time meant the restaurant was nicely empty (from a selfish point of view!) With an outside seating terrace this will be a lovely location for summer afternoons. I was very pleasantly surprised, and I’ll definitely be back! 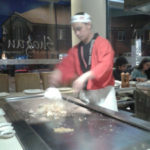 On Sunday my husband and I went for food at Shogun Sushi and Noodle Bar. We’d purchased a Groupon voucher pre-Christmas and not got around to using it for one reason or another, and the fact that it expires today meant it was use it or lose it. 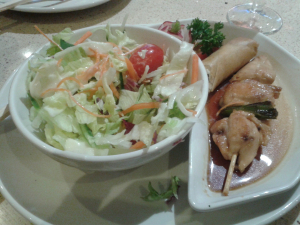 The deal was salad appetiser; haromaki (japanese spring rolls) and yakitori (chicken skewers) to start followed by rice, vegetables, salmon, tiger prawns and teriyaki chicken. 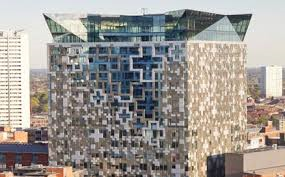 The restaurant is in the bottom of The Cube – the latest addition to Birmingham’s skyline and the popular Mailbox area of the city. I have mixed feelings about The Cube, mainly due to the awful colour of the exterior cladding, but it’s certainly adds a welcome extra dimension to Birmingham’s food and drink landscape. The deal was valid pre-7pm and we arrived at round 6pm, expecting it to be pretty quiet, but it was surprisingly full (lots of people using up their vouchers, obvs). 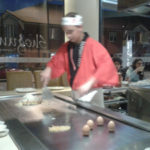 There were a number of people seated around the sushi bar, with the teppanyaki cooking plates situated towards the rear of the restaurant. 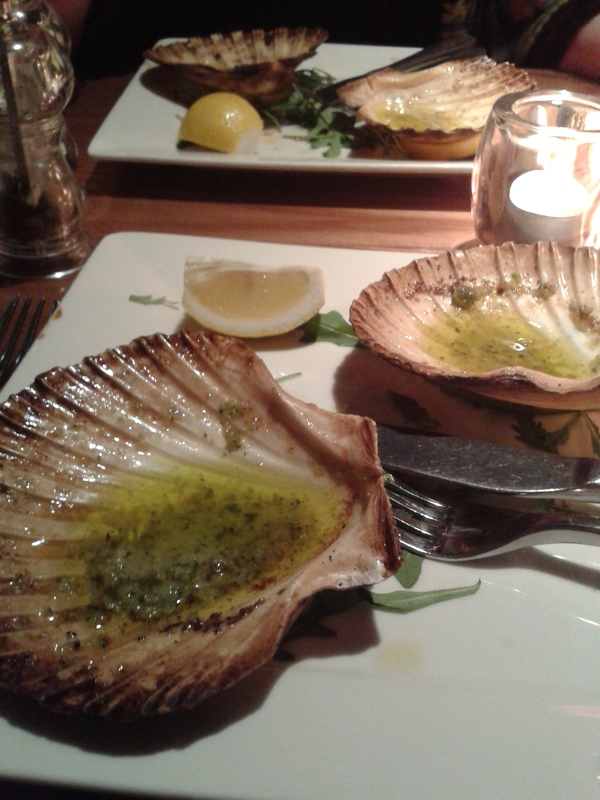 We were seated alongside another couple who had just arrived and immediately served our starters which were fresh and tasty. While we were eating a member of the team came out and cleaned the cooking griddle area with steaming water. After our starters had been finished and cleared away, our chef came to the cooking area and again cleaned the area thoroughly. Then the show began! He was incredibly friendly and enthusiastic, and looked like he was genuinely enjoying his job. He did some fancy showboating with his cooking tools, juggling and banging them like drums – much to our delight! His hands were so fast, it was hard to get an in focus picture! He began by frying fresh garlic which was then pushed to one side to be used in future dishes; then added a pile of white rice and vegetables, followed by 6 eggs which were cooked into an omelette roll (after he’d juggled with them). The speed and presentation were brilliant, and he engaged with the diners by throwing bits of omelette in the air for us to catch with our mouths. The rice was served which we began to eat while he then moved onto cooking the salmon and prawns, followed by the teriyaki chicken. Everything was so fresh and tasty, beautifully cooked and delicious – right in front of our eyes, from raw. I can imagine that this dining experience would be a whole lot of fun with a group of people. 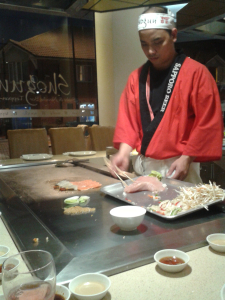 We were the only 4 people on our teppanyaki table so it was over more quickly than we would have liked. The theatrical side of it for a large number of people would really be quite something, especially with the nature of our exuberant chef. Definitely one to consider for a future group night out.